Anthony Neil Wedgwood ‘Tony’ Benn was born on April 3, 1925 in London to William Wedgwood Benn who was the first Viscount of Stansgate. His father was a Liberal member of the Parliament but joined the Labour Party later. Benn was exposed to politics and its nuances since a very young age. A British Labour Party politician who was a Member of Parliament for almost 50 years. He was an enigmatic and strongly opinionated politician who, from time to time, brought in socialistic ideology into the British Labour Party. He was born in a wealthy English family to William Wedgewood Benn who was also into politics. His father’s ideologies and political stature influenced Benn to work in the British politics, and he started by becoming the president of the Oxford Union while he was still attending the university. Benn studied at Westminster School and later pursued his education from the New College, Oxford. Even at Oxford, politics was again a matter of great interest for him and he was the elected president of the Oxford Union. In 1943, Benn took a break from studies and joined the Royal Air Force while his father and brother Michael were already serving in the RAF during World War II. He was a pilot officer and served in South Africa and Rhodesia. 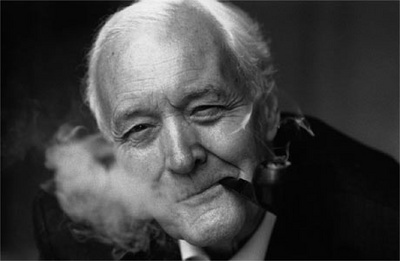 Benn's political career comprised events like creation of the Peerage Act 1963, opening of the Post Office Tower, and creation and implication of the Health and Safety at Work Act 1974. During the time when the Labour Party was in Opposition, he was the Chairman of the Labour Party. He also worked actively in the Cabinet, first as Secretary of State for Industry, before being made Secretary of State for Energy.